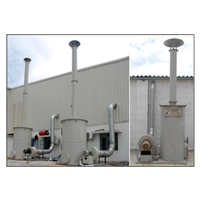 Dry incinerator scrubber | Municipal Waste treatment | Apzem. 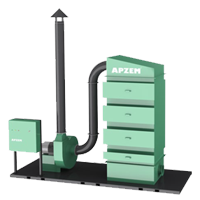 Apzem municipal waste Scrubbers are custom designed to capture odorous gas and particulate pollutants generated in municipal waste incineration process. 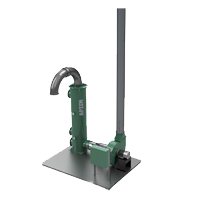 In general for small quantity of municipal waste treatment or odour control, Apzem dry scrubber would be economical option. For High concentration or large incineration process, Apzem Bagfilter can be used for fly ash dust control followed by Apzem wet scrubber for gaseous pollutants control. The waste treatment process, Amount of pollutants generated, presence of other dust particles and grain sizes, their properties, temperature, space availability, and PCB norms at particular zone determines the selection and customization of municipal waste gas Scrubber system. 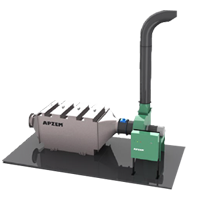 Apzem had a strong team of consultants and engineers having deep knowledge and experience in designing and commissioning of customized solutions for municipal waste incinerator emissions, land fills, odors. Etc. Air Flow: upto 70,000 CFM. MOC: SS 304 / SS316 / FRP / PP / PVC . 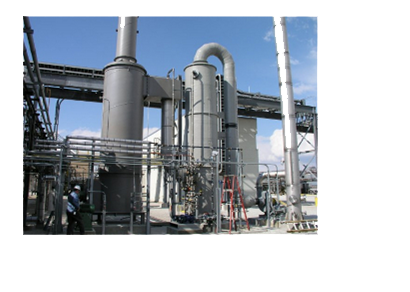 Application : municipal waste incineration emission treatment, land fills , odour control etc.Contact us for customized solutions.